Today is your day! Your mountain is waiting, So… get on your way! Mera Peak — at an elevation of 6461m is the highest trekking peak allowed to scale by climbing enthusiast and there is no doubt that it is the best peak to grab the thrilling adventure experience and unmatchable panoramic view of the Himalayas stretching from northern Cho Oyu to Everest until eastern Makalu and Kanchenjunga. 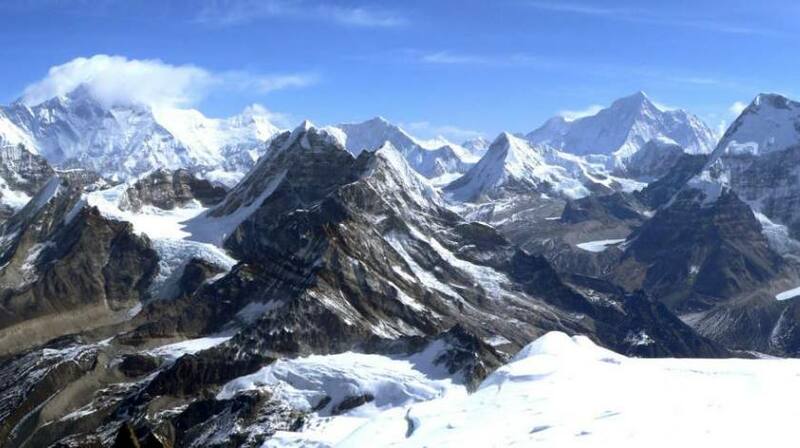 Mera Peak climbing is one of the most exciting, challenging and stunning routes of Lower Everest region and getting popular among the travelers nowadays. It is one of the best trips for all kinds of adventure lovers who want to enjoy the less technical climb on the peak situated at the very remote region with one of the best view of the world highest Himalayas you will ever see. Nepal has 8 out of 14 eight-thousanders of the world and Mera Peak Summit offers the grand vista of 5 of them — Mt. Everest (8848m), Mt. Kanchenjunga (8586m), Lhotse (8516m), Makalu (8463m) and Mt Ch Oyu (8201m) — along with several other 6000m and 7000m peaks of the Himalayan range. Mera Peak Climbing trip starts with a scenic flight from Kathmandu to Lukla and follows the route to enter into the wilderness of Hunku valley passing small settlements, oaks and rhododendron forest, deep river gorges, grazing pastures and meadows. On arrival to Khare, our climbing team will brief you with instruction about climbing style, gears use, climbing technique and all other necessary information required for the successful attempt to summit. This 17 days trip to climb Mera Peak is an awesome journey into the remote landscapes and settlements following the lower Everest trails and there are other not-so-popular yet adventurous routes through high passes and arduous terrains too. And some popular routes include Mera Peak with Everest Base Camp — 26 days and Arun Valley to Mera Peak Climbing — 21 days. No travel insurance of any kinds is included for climbers. You should buy yourself a travel insurance that suit your adventure activities and cover possible expenses (Our Crew are Insured).